For SaaS (Software-as-a-Service) providers focused on growing their business at break-neck speeds, having the right IT infrastructure platform is absolutely critical. We recently worked with a long-time customer who knows all about the challenges of scaling a SaaS business, and the underlying infrastructure required to support that growth. CustStreets was looking to scale out its infrastructure to a geographically diverse hosting provider. Additionally, the company needed an affordable option as it worked to create a solid base of bare metal dedicated servers for its day-to-day workload. “After sifting through several dozen possibilities, we tested Anix Host and found it to be capable and responsive as a host with a solid underlying network. In the year since we moved to them, we’ve never regretted it for a second”. Businesses continue to become increasingly dependent on 24X7 online accessibility, and downtime is simply not an option. To ensure a reliable, highly available service for a growing global customer base, SaaS providers must ensure that their offering is supported by the right IT Infrastructure, which can include a combination of bare-metal dedicated servers and cloud options. When scaling a SaaS business, companies have plenty to worry about. From product iterations to customer service, marketing, sales programs, and R&D, there’s rarely a dull moment in a given day. The last thing these organizations want to worry about is making sure their website and application is online and available to their customers. With this in mind, there are some key areas to consider as you’re searching for the right IT infrastructure provider for your business. Rapid Deployment: Time-to-market can be a fierce competitive advantage. Being first in the mind of your target audience can be a powerful differentiator that fuels growth. You cannot afford deployment bottlenecks from your Infrastructure provider that will delay your service from reaching your customers. Look for a hosting provider that can guarantee to have dedicated servers deployed quickly, and without error. The exact time frame will vary by provider, but you should be able to expect deployments within 4-8 hours. Highly-Available Global Network: Your customers are global, so your network should be too. Look for a provider that offers a network uptime guarantee that delivers the performance your fast-paced, always-on business requires. Ask for a network speed test prior to making your decision to be sure it’s the right one. Scalability: Your customer base, workload demands, and growth velocity will vary over time, and so will your infrastructure needs. Look for a provider who can align with the ups and downs of the business cycle. If you need to add more dedicated servers at peak times, and scale down at others, your provider should be able to support these changes as quickly as you need. Cost-to-Value Ratio: Keeping costs in check while maintaining optimal availability can be a challenge. These two requirements are generally at odds- It’s hard to obtain both from one single provider. Do your research before deciding which IT infrastructure provider offers the best cost-to-value ratio. 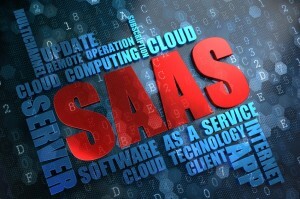 Want to learn more about finding the right dedicated server provider to support your SaaS needs?